PTSD/DEPRESSION-When did it start? BETRAYAL! ou know, as far back as I can recall, I have had some type of sadness in me. I can remember being in elementary school & telling my friends at lunch I wanted to just sit on the bench as they played. Music has always touched me, so I recall singing songs in my head. When i think back on that time I never understood why I felt like that. But alot of my childhood before I was 14 is very blurred & I have a friend, my childhood bestie, we ate more like sisters of the heart, Jackey, I always go to her about memories. I know some things happened to me, but I can’t talk about that. Anyway, from what I do recall I had a great childhood from birth to age 14. That is when the 1st biggest betrayal came. On my 14th birthday, the woman I knew as my mother passed away. That day I found out that my mother Isabel was in fact my Grandmother. My father Pete was my Step-Grandfather & my sister was my biological mother. What happened after was crazy. There was the reading of the will, which my grandmother/momma left 90% to me. But not in any formal trust, just in care of my grandfather/daddy to give me at the time & age he saw fit. Long story short, he ripped me off in the end. Anyway, days after it happened all my sisters & brothers as I knew them to be at the time, came to the house to take whatever my grandfather & the eldest sister put out for their choosing. Clothes, jewelry etc. My biological mother never came. She did not attend the funeral either. It was weird because her children, who I thought I was their aunt, were my brothers. So strange to me. But for some reason I pushed it aside in my mind & did what I was told. STAY AWAY FROM ALL YOUR BROTHERS & SISTERS!!! I was told they wanted to kidnap me & to avoid any future contact. I was scared. The mother I knew just died & my whole family, my 2 “brothers” & 9 “sisters” with the exception of 1, the eldest, I was to run away if I saw them. I never knew what they were told but no one ever came, except my biological mother. She used to take my step father to work & purposely drive by when I was leaving for school & thought it was hilarious how frightened I got when I ran in the house. She did the for I can’t recall how long. Well, I was in the 8th grade, I was trying to move on in life, I even joined a gang. I became unruly because my “daddy” was constantly dating & leaving me in the house alone. Then he met someone when I was 16 & moved in with her & checked in on me 3x a week or so. I didn’t know until I reflect back that I was being abandoned at that point. I had food, clothes & money, but no family except the eldest sisters & my cousins who I have awesome memories with. But I was hurt when he told this woman I was not his biological daughter & he didn’t have to take care of me. Unfortunately my daddy that I adored chose woman over me. So eventually I ran away & basically lived like a gypsy between friends homes & sleeping in a car sometimes. Now, I tell this open dialog of my personal life to show people that PTSD & Depression can start young. But be suppressed for some of us. That’s what happened to me. I lived my life as a somewhat wild & rebellious young girl. One who loved to dance, and went to underage clubs as much as I could. I never really had a chance to consider my situation because of my consuming self absorbed self to do as I pleased because I had no one to direct me. So that is part 1 of my life where I believe & talking with my previous psychiatrist felt it began as well. Thanks for stopping by. Part 2 coming soon. I haven’t been reading too much lately, my mood is bad…sad…frustrated. It is so irritating to feel the way people think of me. To be judged by people for being physically ill, mentally ill. For not doing things their way or for speaking my mind in a peaceable way. For being judged at first glance. I wish I was more like my husband or 2 boys where it doesn’t matter, they move on. But when its family it’s harder you start to wonder “is there something wrong with me?” (Besides being mentally & physically ill?) Well my closest & nearest & dearest tell me it’s not me but sometimes it feels like so many are against me. So many are so hurtful. I’m so forgettable & I used to be easy to use. I used to be a bubbly bright & generally optimistic person. If it was for my faith in our grand creator, I think I would have been a very horrible person because i would not have a moral compass. But right now my emotional battle wounds are raw & some reopened some brand new. I want people out there to realize that no one is better or above another human being. Regardless of money, no money, race, orientation or anything. You bleed red like i do. You have feelings like i do. But you can cause a person who is battling so much in life to lose their life because of your selfish desire to hurt or cause them more pain. Enough becomes enough. When do you not take it personally when a person snubs you to your face? When do you not take it personally when a person so obviously treats you bad? When do you not take it personally when people are passive aggressive towards you? When they use you & throw you away? When I say!!! I’m so sick of family & “friends” being insincere. I’m a human being. I’m not mean, I used to give everyone the benefit of the doubt. Now I’m jaded. Now I can’t trust because of all the knives I’ve had to pull out of my back. I know, I’m ranting, but it’s because I’m hurt, betrayed, devastated. If just one unsupportive hurtful judgemental person out there can read this & look differently or act differently or pull themselves out of a person’s life with honesty & integrity after reading the pain I have poured out here, it will be worth it to put my feelings out there. But if not, SHAME ON YOU!!! SHAME SHAME SHAME SHAME SHAME ON YOU. Treat people as you would like to be treated. I respect a person more for being up front with me then being a lying fake. Ok. Rant over. Time to turn my blog to part 1 of why i think i developed depression/bipolar. Till then thanks for stopping by. Well how do you even begin to talk about family the does not support you or your illness? How do you face each day knowing in my case my mother could care less about any pain I’m in or about my life or for my children or my husband in any way shape or form. We have no relationship whatsoever. We don’t speak we don’t live near each other we don’t send emails to each other anymore we don’t call each other the relationship is over. It’s just me my family and my brother. You know I haven’t talked about it yet but briefly I will go into the 2010 surgery. I went into surgery feeling pretty OK about everything. When you go under you really go under you don’t remember anything you don’t have any dreams I don’t recall nothing at all. And I think that’s a blessing because as it turns out I almost died on the table. A surgery that was supposed to take 4 hours maximum took 10 hours and a life saving surgery at that. I spent 12 days in ICU with touching go not knowing if I would live or not, but I don’t remember it. All I remember is severe pain in my hands. Not knowing until 3 months later it was nerve damage that made my fibromyalgia much much worse. Anyway I mention this because it was a very serious surgery and I can honestly tell you that no one was there except some friends and especially people from my religious congregation. They stood by me they took care of me they spoke to the doctors on my behalf. But to say a family member was there I will have to say no. Does this hurt me? Hack yeah. It hurt real bad when I figured it all out later. Anyway here we are 9 years later and I’m in some prettied badd shape. 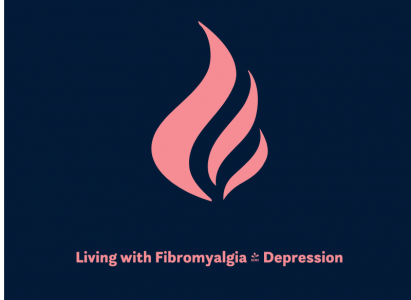 As you know if you follow my blog I have severe fibromyalgia. I have P TSD. I’m being re evaluated for bipolar and I have severe depression. Ironically I have a pretty darn good attitude when it comes to being around family. My husband’s family, his aunt & cousins, etc. pretty compassionate and have a lot of empathy for me. They’re very understanding and don’t make me feel like I’m dead weight to my husband. I think what hurts the most for me is there was a lot of trust at 1 time with certain family members from my family and from my husband’s family and just for the record my brother is amazing and lives far but eventually came and picked us up and we stayed at his house for 6 months to be cared for. But if you ask me if anybody else came I can tell you no. I also did not receive any phone calls from anybody. It was probably one of the most loneliest and hurtful times of my life. I always try to put my best out even though I’m in a lot of pain I try not to show it but because we live far my husband will mention that I may be having a really bad day. For a while he just felt that certain family members finally understood that illness comes in different stages for different people. And I guess what is so hurtful to me is that when they don’t understand I am at the point where I could care less anymore, sure it hurts, but I get over it a lot faster than I used to. My family, meh. I have amazing cousins & & as I previously mentioned my brother is amazing. My husband, it goes without saying he is my rock after my God of course, but he truly is my champion. Why do they get so mad that he doesn’t take their advise?? Why o why don’t the realize that I have done everything possible not to show my pain when visiting but in the comfort of my home i can feel like I can get comfortable. I don’t get it. I guess I’m just hurt for my husband because his feelings are hurt because i am disliked & no one believes I’m that sick or have as much pain as I have. I just feel anger right now. I’m just so done with friends, family & anyone who questions my illness & anyone who hurts my husbands feelings. I have now officially alienated myself in the future. My husband supports my decision & understands. He didn’t want to for the longest. But he does now & although he’s always been on my side about things I truly feel he has 100% understanding of what I’ve been going through for over 9 years. We did have a nice day today, went to our religious service, enjoyed true & wonderful friendships, had some amazing home made Pozole (by my hubby). So I’m feeling better. I think talking about here on this forum, well, it really helps. Thanks for stopping by & showing your support, your all amazing people. Have Mercy what a Looooong night & morning.